Sergio Marchionne’s dilemma over whether to sell Alfa Romeo may also become a dilemma for the 130 dealers who have received letters of intent from Chrysler notifying them they will get Fiat franchises. Those dealers also are in line to get Alfa Romeo franchises when the brand returns to the United States in late 2012. Peter Grady, Chrysler’s vice president of network development, told Automotive News that the dealers will be required to build their facilities to accommodate both brands. The potential fly in the ointment is that Volkswagen Chairman Ferdinand Piech has made no secret of his desire to buy Alfa Romeo. Marchionne has said repeatedly that he wants to hold onto Alfa Romeo. Speaking to reporters last week at Chrysler’s Sterling Heights, Mich., plant, he said Chrysler might one day make Alfas there. But sources say Fiat and Volkswagen have been working separately on scenarios for life with and without Alfa. 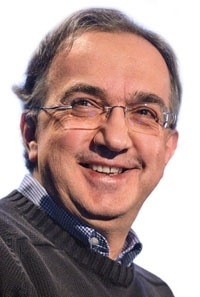 According to the sources, Marchionne has not decided whether to sell the Alfa unit. But he has asked his staff to prepare a plan to evaluate how Fiat would fare without Alfa. If Fiat sold Alfa, that would leave the dealers with only the Fiat 500 small car, albeit in various versions. With Alfa would come compact and mid-sized cars and SUVs that could tap the near luxury market. Without Alfa, the investment in a new Fiat dealership could prove a bridge too far for some dealers.